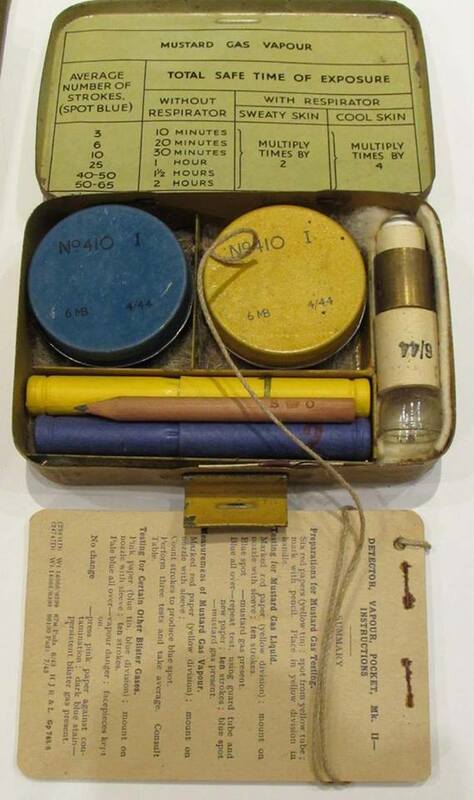 Kit to determine what kind of gas was being emitted from a shell. 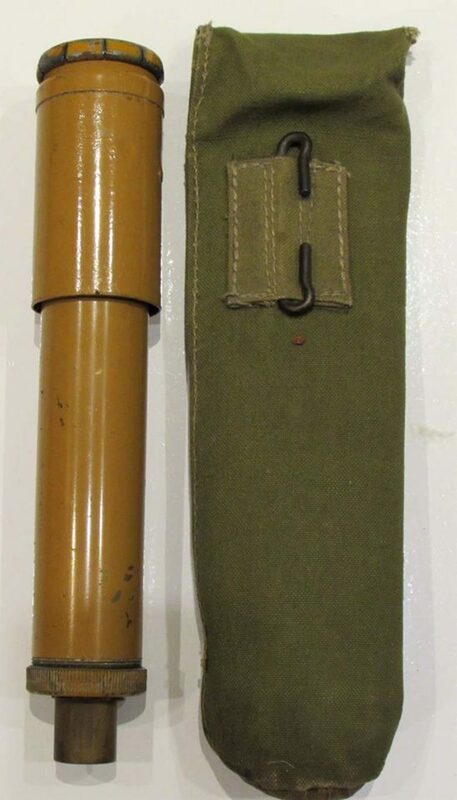 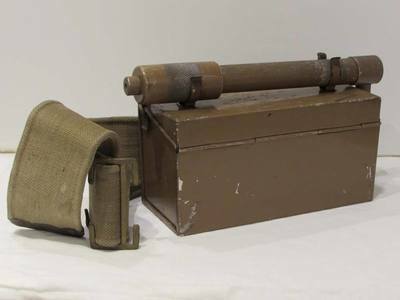 A simplified MK II gas vapour detector introduced in 1942. 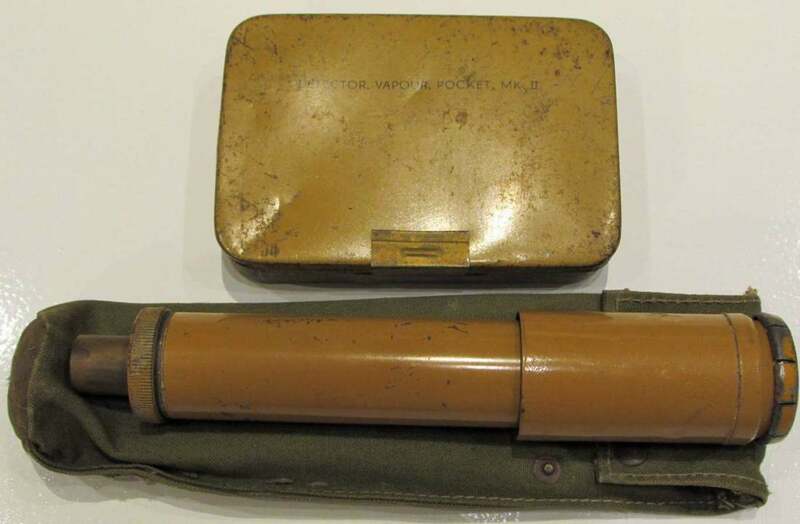 This could be utilised by wardens as well as by gas contamination squads. 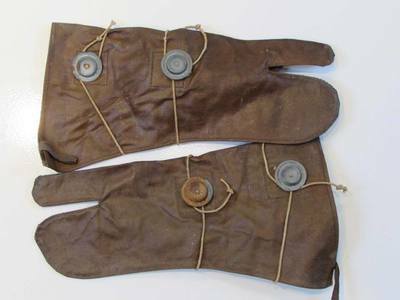 Protection for the hands and also covers to protect the gloves when doing heavier work. Eye shields, anti-gas, Mk II. Issued to protect the eyes from liquid irritant sprayed from enemy aircraft. 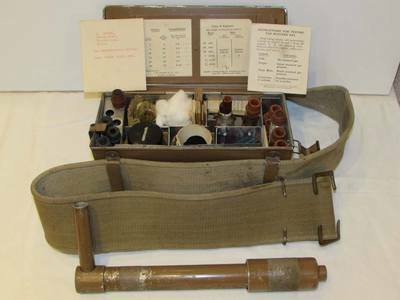 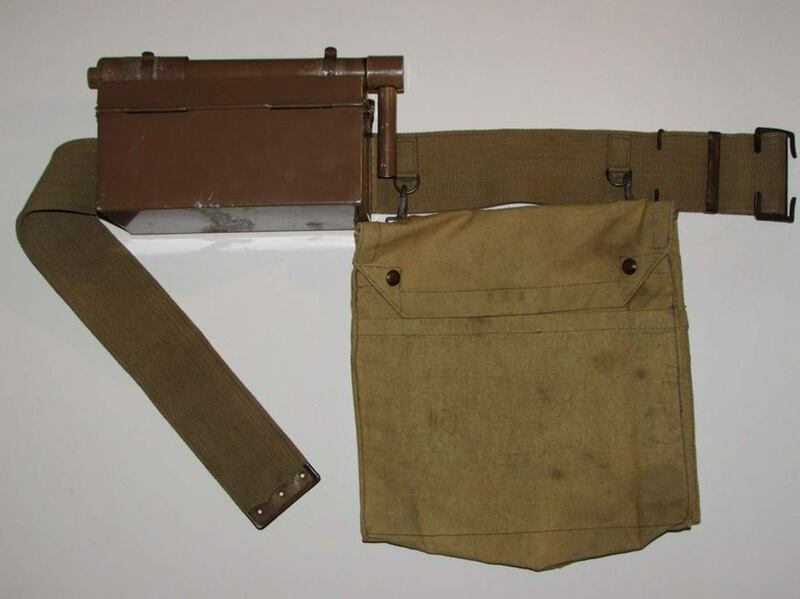 WW2 Civil Defence Mk. 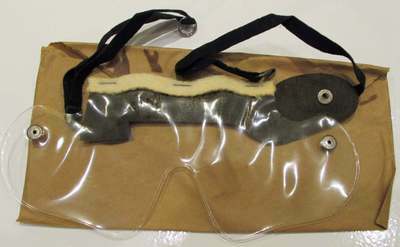 II Anti-Gas Eye Shields. 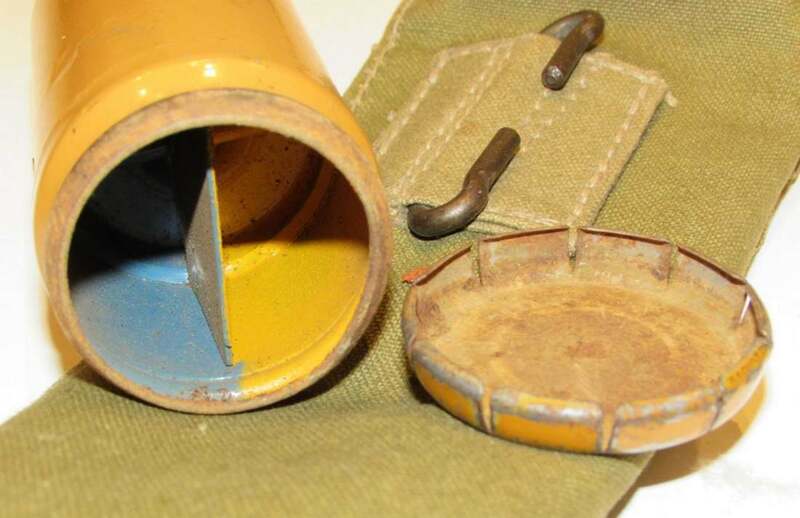 WW2 Civil Defence Mk. 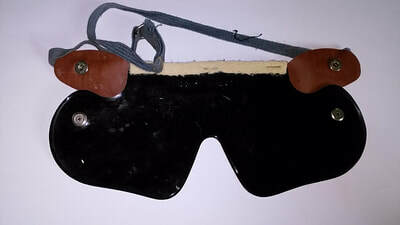 II Anti-Gas Eye Shields - dated. WW2 Civil Defence Mk. 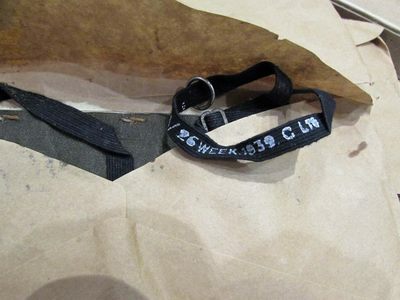 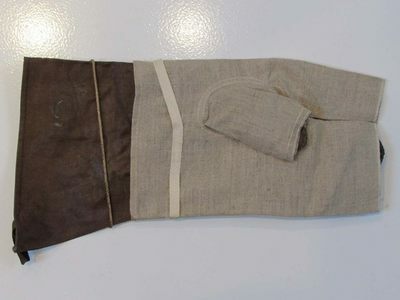 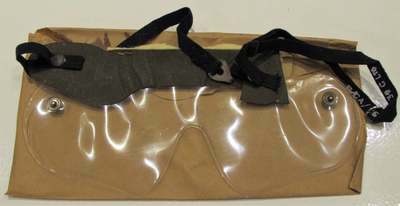 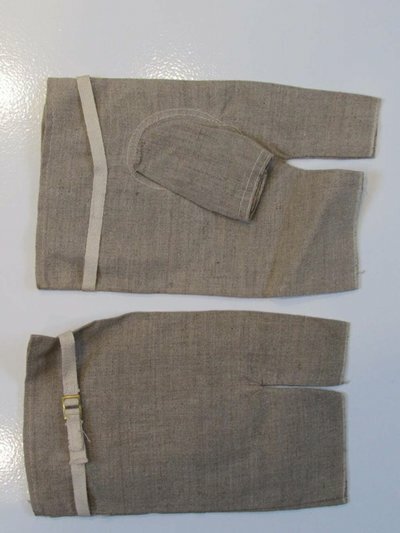 II Anti-Gas Eye Shields - carry packet. Similar to the clear version above these anti-gas protection eye shields were tinted for working in bright sun light, The poppers attach at the ends and create quite a good seal around the eyes. 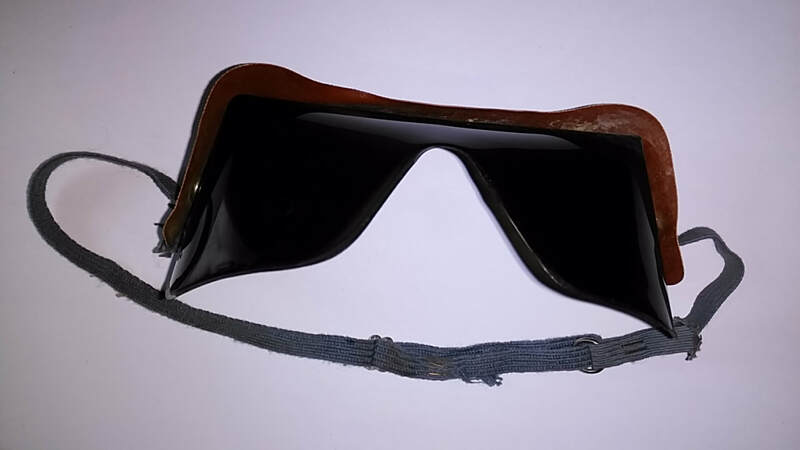 WW2 Civil Defence Anti-Gas Tinted Eye Shields (front). WW2 Civil Defence Anti-Gas Tinted Eye Shields (rear). 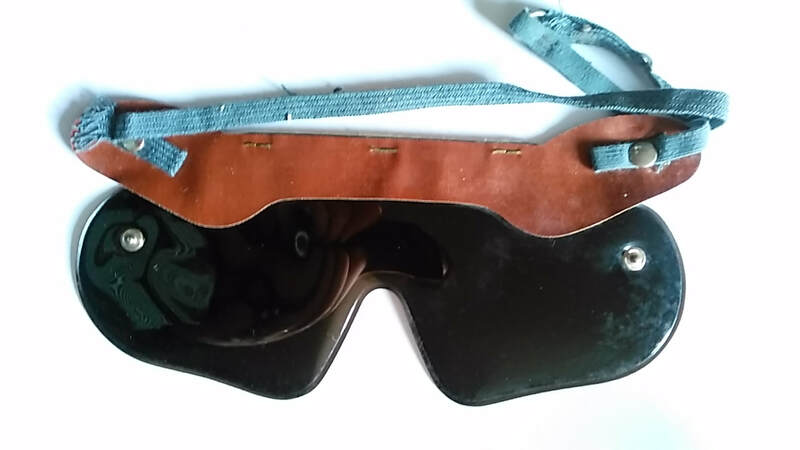 WW2 Civil Defence Anti-Gas Tinted Eye Shields (ready for wear).